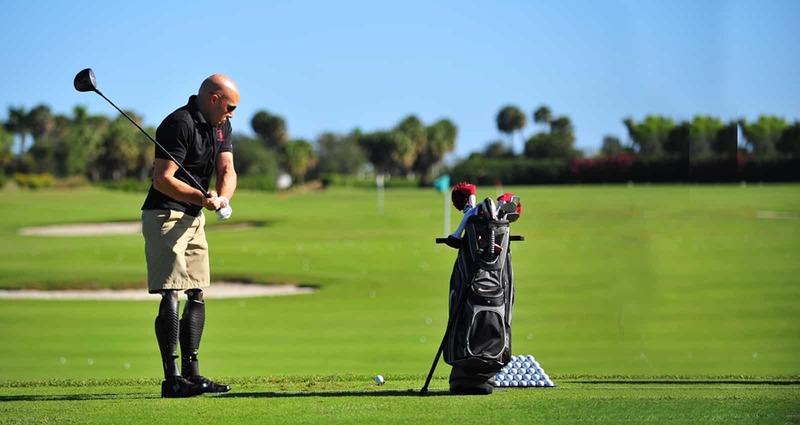 Operation Warrior Golf was created by Caddy For A Cure Founder and PGA Professional Russ Holden. Our contact with wounded service members led us to understand that golf is one of the most therapeutic avenues available to those with post military service issues. The dilemma was, once they leave our caddy experience with the best players in the world, how do we continue to encourage them to play golf, to improve, and to heal? V1 has been incredibly generous to offer Caddy For A Cure a complete online golf academy that we give to any service member, wounded or active duty, gratis. They may send a golf swing from a cell phone, from anywhere in the world to be reviewed and examined. Whether the wounded is in Texas, Arizona, New York, or anywhere – they can have their swing analyzed by a PGA Professional and swing documented in their own locker online. If you are new to Operation Warrior Golf, create a password and log in, and download the V1 app from the Google Play Store, or the iTunes App Store. If you have any questions – do not hesitate to call us at 954-341-4600.